A few months ago, I found little scented sachets at Target, bought them and loved them! However, throwing them in the trash after they longer “smelled” made me a little sad; they were too cute to toss in the trash, yet lacked the option to “refill”. So, I decided I’d make my own; ones that can be refilled. These are filled with scented baking soda and are great to keep in diaper bags, around changing tables, in dresser drawers, or in laundry hampers. I wish you could smell them, they are so delightful and the whole changing area smells so fresh and clean! They also make for wonderful baby shower gifts; even when tucked inside a gift box and wrapped you can smell them from the outside of the package. I created a quick tutorial for any of you who may be interested in making your own. They’re very easy and come together quite quickly! Each sachet bag can be easily refilled with inserts and the directions for the inserts are also included in the tutorial. 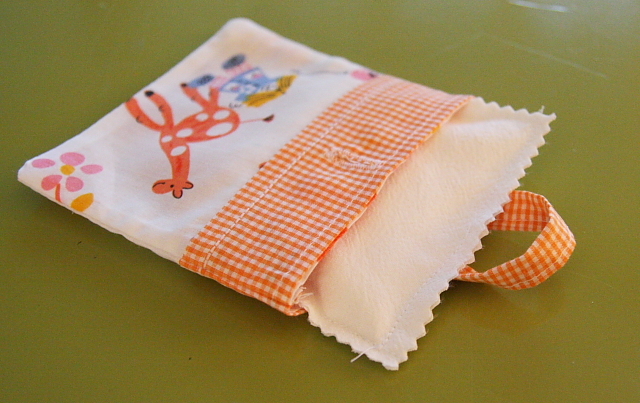 Both the sachet and the insert can be made from a very small scrap of fabric. 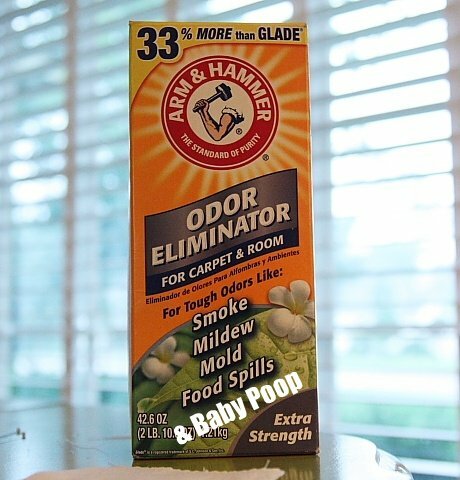 I used Arm & Hammer’s Odor Eliminator to fill the inserts and so far they’ve lasted for over a month! If you didn’t want to throw the insert away, you can easily use a seam ripper and open the insert, refill and re-close. I hope you all had wonderful weekends! Ours was busy and full! We are anxiously awaiting the arrival of our new niece/cousin and can’t wait to report back with pictures of her in the next few days! Our family covets your prayers for Erika, Chance and baby Sloane, that the Lord will deliver her healthy and safe! I know I keep saying it, but I absolutely cannot wait to hold that little bundle in my arms! Can’t wait to see baby Sloane! Perfect timing! After 2 days away, we came home today to a litter box smell. Your sachets will be perfect. Can’t wait to try one! Thanks and am praying for your sis and her little one. I love that it covers baby poop! So funny! What a great idea. There is something so pervasive about that odor, isn’t there? So excited for you all with the new baby’s arrival very soon! YAY!!! I am laughing as I read this. We just keep opening and closing the dang windows and generally cursing our smelly diaper pails. I swear we change them almost daily! A perfect solution and a very grateful thank you for the fun tutorial. Am very much looking forward to some time to sit down and get this done. And I’m just loving the website. Loving it!! for when your baby does a number 3!! You may well ask what is a number 3 – well please brace yourself and have a giggle while also being completely grossed out! These are new in Australia. that fabric is adorable. what a cute idea. I’m still waiting for you to open a store… 🙂 since I can’t sew very well…but love the cute things you make! Your new blog looks great! Your addition to the Arm & Hammer box made me laugh. 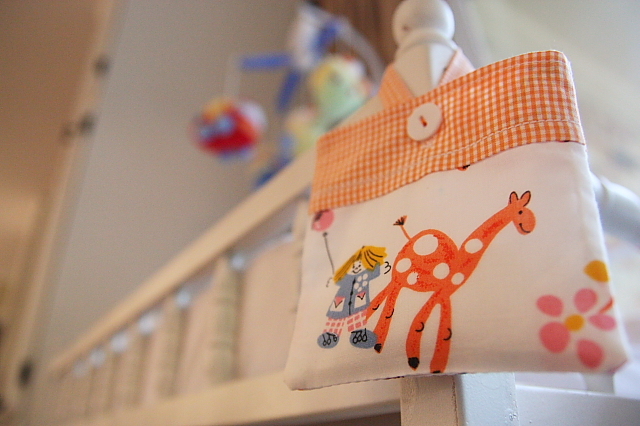 The sachets are a fabulous idea…I think this is a sewing project I can successfully tackle! I keep checking your sister’s site for the big news. Have so much fun this week anticipating and welcoming sweet little Sloane. Your family is in my thoughts and prayers! Precious…girl, you need to open an etsy shop!!!!! keep checking for news on Sloane, can’t wait to see hear! Prayers for you all. Darby, your ideas are amazing…so simple, but yet so useful. Your family is so blessed by your presence and sweet spirit…you make us all better mommies for it! Take Good Care. thank you, thank you! what an answer to prayer. I keep feeling led to make things for people this year rather than only purchase something for them …that said, a friend just had her first baby and I have extra fabric and a button so I think I will make her one! I JUST bought some of these for a friend and they are so great!! I can’t wait to make some of my own with my scraps of fabric! yay! Lots of prayers to your sweet family… such a precious time! Darby – I think you are the coolest! What a great idea!!! You always make everything so CUTE!! Even somthing to make the poop smell go away. We will be praying for that precious baby Sloane. Could you contact me via my aol e-mail address? I am having computer issues with my Mac and I’m on another computer but it won’t let me e-mail you through my Mac acct. and I need to talk with you about advertising. So sorry! It let me receive your e-mail but won’t let me respond. My aol is okay though. Love it! Great idea. Bless you all in these upcoming days. And, the new website is wonderful. We could use some anti-poop-smell here too! Hang in there with Rover, he may be more active but will be less wear and tear on your sanity- drama wise! It shows the love of the world that we could all be looking forward to baby Sloane’s arrival, even though she is not our family. We are all hoping and praying for her safe arrival. I have been on a (witch)hunt all weekend for orange and white gingham check fabric, so I can make my girls a pair of ruffle bottom pants! Im thinking I may need to make a trip to the University of TN?? haha. Would you mind sharing where you found yours? Love, love, your new site btw! In a previous post I read that JM (who is absolutely adorable!) had a little accident & you paid a visit to the Flowers Hospital. Crazy enough, although I have never lived in Alabama, I have also visited the Flowers Hospital. Two summers ago, my church was on a trip to FL with a group of high schools and middle schools, and we were in an accident. The bus accident landed me in Flowers Hospital. Small world huh? While the accident was tragic, it was amazing the love, grace, and hospitality the people of Dothan showed. The people of Dothan showed God’s love to our students in a way we will never forget! We actually made the trip back down to FL this summer (accident free – praise God) and revisited the church that was so gracious to us 🙂 Sorry this post became so long … just thought I should share! well aren’t you martha!? i already knew that though. mine is hanging over my changing table and I LOVE it!!! you should sell those little things, they really are delightful. Love the idea! I cloth diaper and always need a solution to a smelly diaper pail! what a great idea. cute too. I love this idea and appreciate your clever tutorial! Thanks! My prayers are with Erika, Chance, baby Sloane and your whole family! I hope you know what a blessing you and your family are to the world. GREAT idea, thanks for all your hard work bloggin this stuff for us!! Yay for your new site capabilities! Hi! I follow your blog and LOVE all of your crafts and your daughters’ clothing. Do you ever create/sell any of the items? I am the opposite of crafty/handy but know cute items when I see them. Is this something you’d ever consider? Oh how I envy your ability to sew – I feel like it’s a lost art up here in the North! I love this idea! Just in time for Christmas presents for my friends with newborns! I just have a question… What is the fabric you used for the baking soda insert? Thanks and I hope you have a blessed day! What a wonderfully simple idea. Thank you for sharing. It would be great to drop into Winter boots too! I can’t wait to make one (or two) and with our first baby coming on Friday, this will be great! Just looked over the PDF instructions (thanks for the tutorial) and have a question: Where does the scent come from? Do you add aromatherapy drops to the baking soda? Thanks for this tutorial! I am always looking for ways to avoid using spray air freshener or plug-in air fresheners and keep things smelling nice. I just made two to put in my son’s room to help the cloth diapers from smelling too bad while they’re waiting to be washed! I have a feeling I’ll be making a few for friends that will be using cloth diapers with there new little ones. Thanks! Thanks for the wonderful tutorial. I saw the link today on Sew, Mama, Sew! I made one tonight with some scraps I had on hand and it turned out great – your tutorial simple and easy to follow. I can’t wait to get to the store and find more cute fabric. These will be stocking stuffers for sure! Theming, Bags, New Mama Sets and More « think liz. You can also use Purex crystals in these. They work awesomely as well! I can’t get the tutorial to open. What fabric did you use to hold the baking soda? approaches to SEO and hold insight into the algorithms of various search engines. in tthe seaarch results of the big search engines like Google, Bing and Yahoo. algorithmic adjustments and other troubles far better. their living by providing top organic search results for clients. you expect your potential clients to enter in order to find you. web pages are designated to the relevant key phrases.